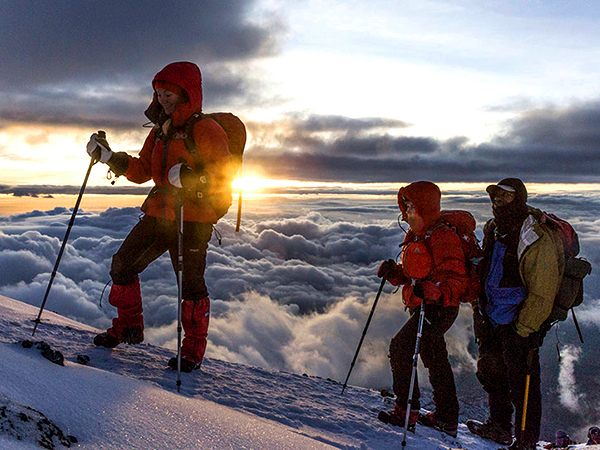 Conquer the roof of Africa on an epic Mount Kilimanjaro climbing trek. Climbing Mount Kilimanjaro is not for the faint hearted, but the feeling of accomplishment as you conquer the mountain is unlike any other feeling in the world. You’ll start at the foot of the mountain and ascend slowly up its side, taking in a variety of different ecosystems. Enjoy the lush, tropical forest, the wide open fields and the mountainous final ascent on your journey to the top of Tanzania and ultimately the top of Africa. You’ll have magical views of the icefields on the crater rim, the jagged peaks of Mawenzi and the lunar desert towards Kibo. If you choose to undertake the journey from Gilman’s Point to Uhuru Peak, you’ll be rewarded with views of the ice cliffs and glaciers. The journey is accompanied by a host of guides, porters and a chef or two and by the time you reach base camp, it will all be set up for you. However, whilst there is no technical climbing, you will be doing a lot of walking at high altitude so a good level of fitness is a must. Also, altitude sickness can cause problems so it is best to check with your doctor before undertaking the trek.